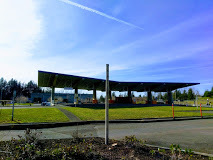 The transfer station had experienced significant ground motion during the Nisqually Earthquake. MLA Engineering was hired to evaluate the damaged, write an evaluation report, and develop contract documents for making repairs. Met with King County and assisted client with evaluating cost and benefits of seismic repair options. Design documents were based upon FEMA 310/356 guidelines.